While there are many types of Fungi, MicroscopeMaster will focus on mold under the microscope here. Fungi is a taxonomic Kingdom that is composed of well over 99,000 species including yeast, molds, smuts and rusts among others. Being a very diverse category, Fungi may be single celled or multicellular organisms that can be found virtually anywhere (particularly moist places) (Moore, Robson and Trinci AP, 2011). Also referred to as Mould, mold is a type of fungi that is genetically similar to yeast. Like yeast, molds are also eukaryotic and can be found in moist places. They are also decomposers and use enzymes to breakdown dead organic materials (leaves, wood, plants etc) which are sources of energy. Unlike yeast, molds are more plant like with long filaments that are commonly known as hyphae, which tends to grow on the surface on inside the substance being broken down. According to Moore, Robson and Trinci (2011) Given that mold grows by extension of the hyphae, a colony of mold can grow to cover a surface of several square feet. * Mold can often be seen growing on bread, fruits and other organic substances. They are often grayish/green or white in color and may be dusty at times. However, the color of any given mold is largely dependent on the type of mold it is as well as the source of nutrient as well as the age of the colony. As such, they are very common both inside and outside the house. Molds reproduce sexually or asexually to produce spores, which look like little seeds. 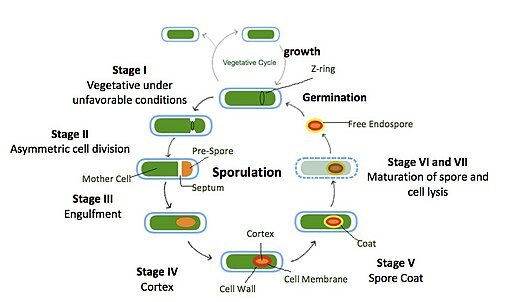 Sexual reproduction involves the mating or two different hyphae to produce spores while asexual reproduction involves the internal division or external modification of a hypha to produce spores. Spores can survive extreme weather and environmental conditions such as high heat and cold and are often transported by air (wind) or water to new locations where they start growing under the right conditions (Ryan and Ray, 2004). Stachybotrys - Also referred to as black mold and has a slimy appearance. It is also known as toxic mold because it produces mycotoxins that can cause respiratory problems. Aspergillus - Characteristics, Types and Morphology - consists of about 300 identified species of mold! Cladosporium - Common indoors and grow in both warm and cool areas. They are likely to be found growing on fabrics, wood surfaces and floorboards and can also cause respiratory problems. Mucor - Mucor are fast growing molds that can be found on soils as well as conditioning systems. One of their most distinguishing characteristics is that they have a thick texture appearance. 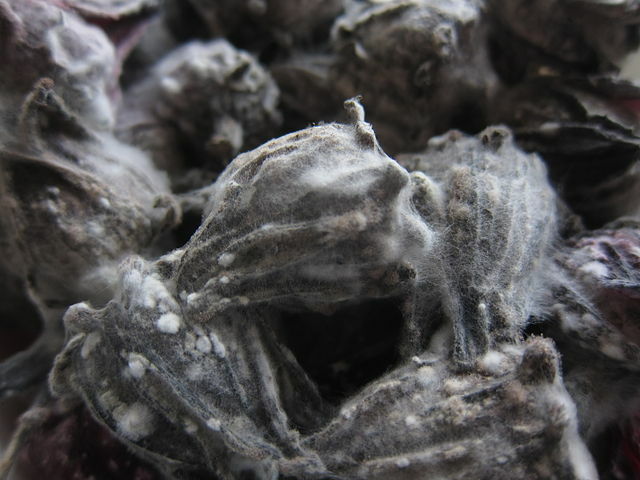 Acremonium - These are carcinogenic molds that produce very potent mycotoxins. They often produce a very bad smell and can be found indoors. Acremonium can have negative effects on the immune system in addition to affecting other organs and mental abilities. Although one can simply go out and find mold on decaying organic matter, it is also easy to simply grow it using soft bread without any preservatives, fruits such as oranges or potatoes. Some of the mold that is likely to grow on bread includes rhizopus, neurospora, Aspergillus and penicillium. While this is a very easy exercise, it is not recommended for those with respiratory problems or allergies. * If bread is used, it is recommended using soft bread without preservatives because mold will take a long time to grow on bread with preservatives. It is also important to avoid inhaling the spores or touching the mold with bare hands given that mold is an allergen. * A drop of methylene blue can be added to increase visibility. As mentioned, there are many different types of mold. For this reason, what one sees under the microscope will highly depend on the type of mold being viewed. The following is an example of what Rhizopus would look like under the microscope. Return to Beginner Microscope Experiments especially related Yeast Cells under the Microscope. Ryan KJ, Ray CG, eds. (2004). Sherris Medical Microbiology.